Wooster Geologists » Blog Archive » Sure it is a bit windy out here, but look at these folds! Sure it is a bit windy out here, but look at these folds! Syncline in the Barstow Formation at Calico Ghost Town. 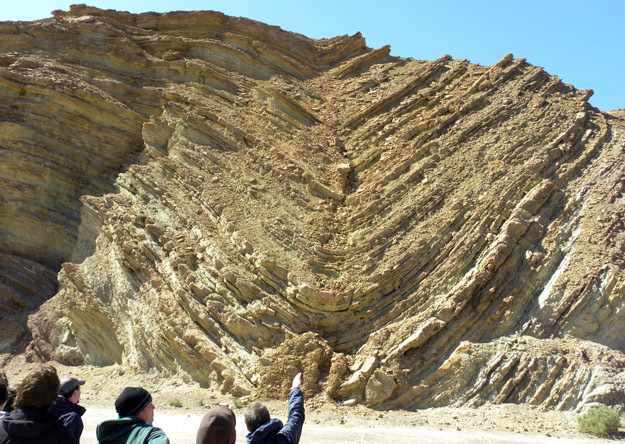 Note that the ductile deformation at the base of the fold becomes brittle toward the top as the fold tightened. Shelley Judge is the one with the explaining hand.